Thsi is an original production storyboard from the Walt Disney Studios classic animated feature 101 Dalmatians (1961). 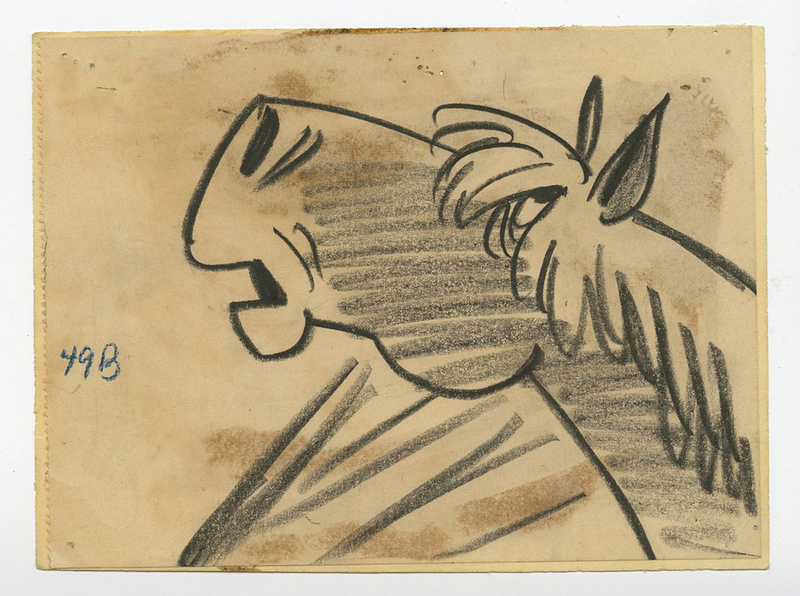 The hand-drawn storyboard features the horse, Captain, and was created at the studio and used during the production of the film. The drawing is in good condition, the paper is a little delicate and discolored due to age, but is otherwise a fantastic artifact from this film. The overall storyboard measures about 4" x 5.25".